LivingRoc USA-The Blog: WE THANK YOU!!!!! We love to see the finished product here at LivingRoc. The piece only comes to life when represented in your environment. 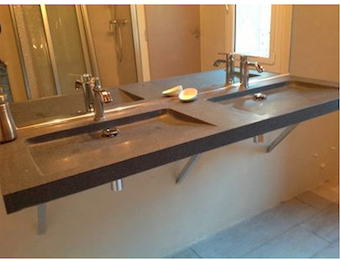 Here we have our Folege Double trough bathroom sink. 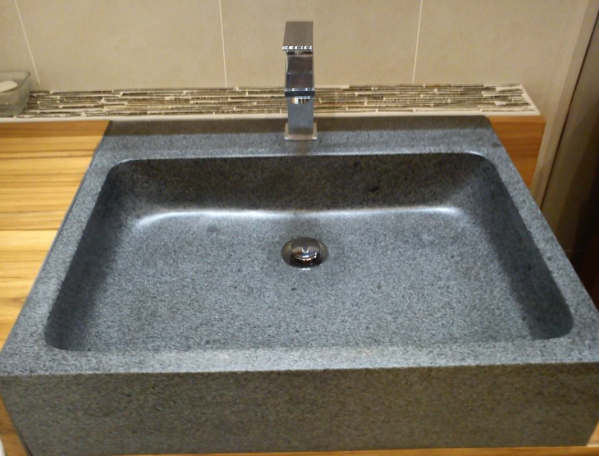 Also available in Shanxi pure black granite. The Folege Shadow. We would like to thank Cedric for sharing his passion of the natural trendy stone, with us. Looks just wonderful mounted on the wall. We would like to thank Mrs. M for sending us her beautiful display of our ESNA. With this Egyptian sunny yellow vessel sink you could brighten up any room. 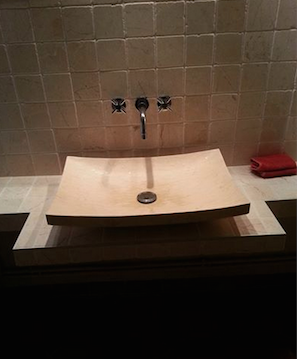 Next we move our attention to the rectangular stone vessel sink the ALPHA. In the Trendy Gray Granite. We thank Mrs J for sharing her vision of the ALPHA. 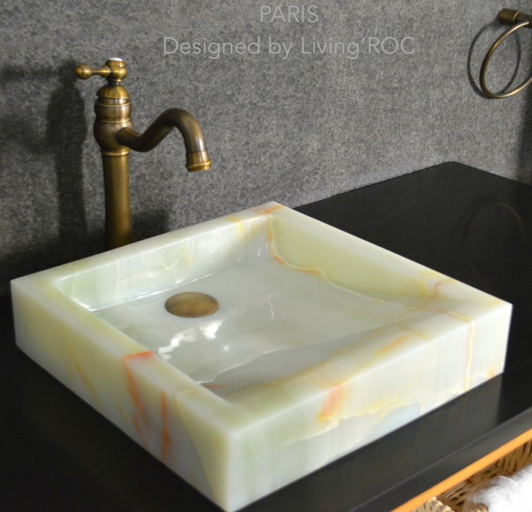 Your display of natural stone products is stunning. Keep the photos coming. We would love to see more. And we send our Many Thanks for those who send in their visions. 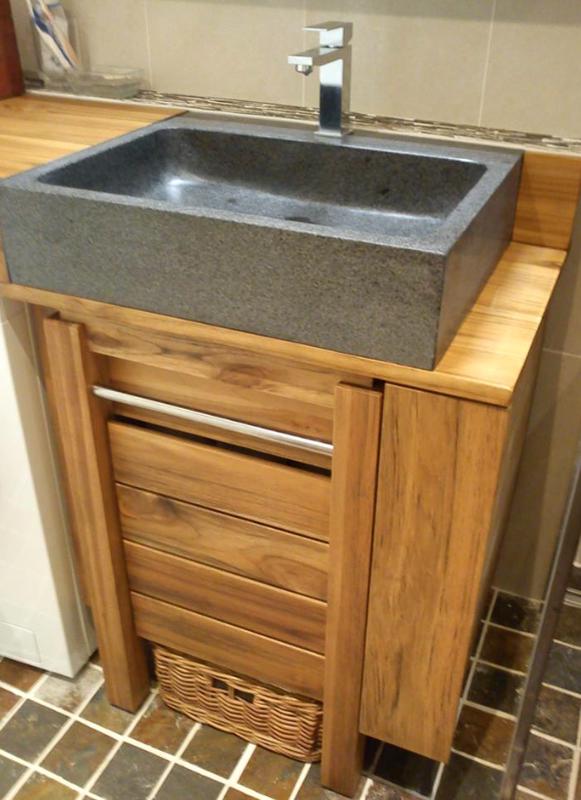 We would also like to invite you to see our display of Shower Bases that would go along side these beautifully.